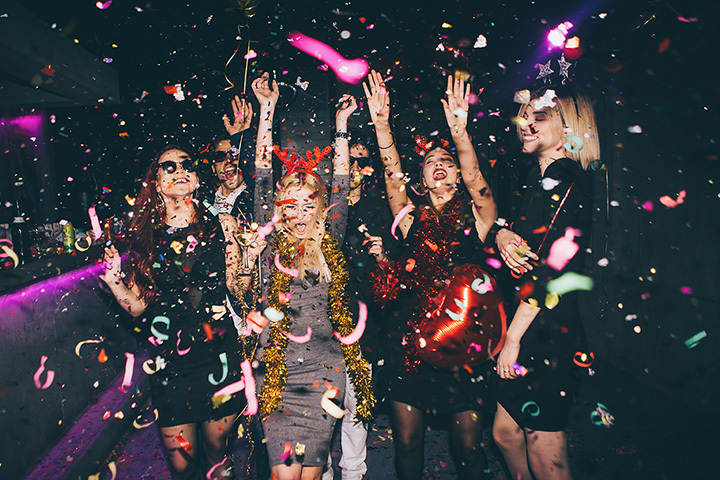 The 10 Best New Year’s Eve Events for Families in Oklahoma! The penultimate party night has to be New Year’s Eve. For a celebration the whole family can enjoy, Oklahoma has numerous options that will satisfy every member of your crew. From lantern festivals, to noon year’s eve celebrations, to ice skating events, check out the 10 best New Year’s Eve Events for Families in Oklahoma. This New Year’s Eve festival has a history of almost 30 years. The event kicks off with a 5K run at 4 p.m. and continues throughout the downtown area until the fireworks ring in the New Year at midnight. Wristbands cost just $8 when purchased in advance, and you’ll have plenty of entertainment for the whole family. This is event is hosted at Bacone College, and it’s free to the public. The event is family-friendly, but bring your own chairs. You’ll enjoy Native American dancing, drumming and singing, plus a lot more. The Lantern Light Festival is open all through December and into January, but on Dec. 31, they’ll be hosting a 5K marathon along with a special New Year’s Eve party. Register for the marathon to get a ticket for the festival. Starting at 11 p.m., there’ll be a bonfire, black-eyed peas, hot chocolate, and fireworks on the Courthouse Square. Live music completes the party atmosphere. Bring your loved one and ring in the New Year with a kiss. The Tulsa Children’s Museum will be celebrating the New Year Saturday, Dec. 30 from 9:30 a.m. to 1 p.m. Music and family-oriented entertainment will be plenty, as well as a countdown to noon! Come to the Discovery Lab for a wonderful NYE. Head to the Skate Galaxy on New Year’s Eve for a fun-filled night of skating, prizes, and a sparkling grape juice toast and balloon drop at midnight! Keep up with their Facebook page for more details on the event! Enjoy a float down the beautifully decorated Bricktown canal free of charge on New Year’s Eve! The canal’s holiday decorations are visible from the boat and the ride is a lovely way to see the city and spend time with your family. This is a perfect activity for those thrill seekers in your family! LifeShare WinterFest has two gigantic snow tubing slopes for any and all (large and small). There is fantastic holiday decorations, Santa’s workshop, and hot chocolate and snacks available for purchase. There’s no better way to spend NYE than on the ice rink at the Myriad Botanical Gardens! Bring your family and friends for a fun night of outdoor ice skating and memory making. This 5K is a wonderful way to ring in the new year surrounded by family and friends. There will be a one mile “Fun Run” that starts at 11 p.m. as well as music and a firework display at the stroke of midnight!